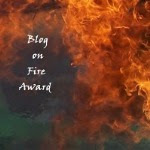 Losing Sanity: Torture, Cupids and Other Writerly Thoughts. A friend of mine was distracting me with faux books plots on Friday; the kind of stuff that makes me laugh and cringe all at the same time. 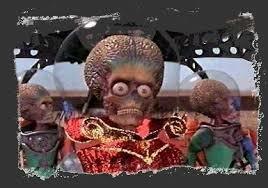 They started out simple: The alien overlord is thwarted. The beautiful Russian KGB agent was snatched by a secret criminal group along with the missing toxic gas formula with the capacity to destroy the world. The hopeful boy wizard's new elf friend was enspelled by an evil creature and is about to stomp on the cutest girl in the boy's class who is also the object of his first crush. The math teacher at an all-girls school finds out her fiancé has been shot down over German lines, but she still holds out hopes of getting her students a spot on the all-Europe math quiz show. A boy scout troop on a nature hike discovers fields of marijuana grown for a Mexican cartel just as giant pinecones fall from demon-possessed trees. Later in the day I was thinking about how some of these giggle-worthy plots could probably be successful books. Which, in turn, made me think about the diverse nature of the people who create books. Sure, writers have some things in common. We all know what it feels like to fill up a blank page with hope and ideas. We have our editing woes and the dreaded moments when we think we've saved, but haven't and the computer crashes causing us to lose a chunk of our precious words. But those are just mechanical similarities. What fascinates me most about writers is probably the same thing that fascinates me about life. Writers, like life experiences, come in every package imaginable. It makes sense, because we reflect our individual interests back to the segment of readers who share those particular interests. So yes, I'm glad I don't write the kind of book plots my friend was using to torture me. But I know somewhere out there, is someone who does. And for every person who writes a book, their soul mate reader is also out there, waiting to read it. Kinda like love, on a literary scale. We're writerly Cupids, shooting our book arrows to infect readers with our passion, and in the process we often get shot ourselves. When you stop to think about it, it's perfect for everyone; writers and readers alike. Labels: Musings on writing. This is what I do when my muse is busy. I muse. Which makes me the muse, right. It seems like the logical consequence. Writing. Writers. 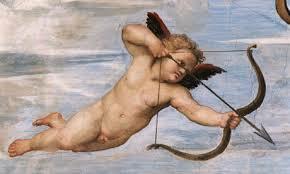 And let's not forget Cupid. Yeah, don't laugh - those might be real plots! I really want to read the book about the boy scouts and giant pinecones! Excellent blogpost, as always. And, OT: Happy Belated Mother's Day, Dear Johanna! I love the way the mind works. I can see all those plots as books - maybe not in the SAME book, but the Boys Scouts discovering the marijuana would make an awesome thriller (unless it were placed here in wacky Washington State, where it's legal to smoke pot AND wear socks with sandals with your cargo shorts) OR the Giant pine cones would make a great speculative fiction thriller. These are all plots with potential. "And for every person who writes a book, their soul mate reader is also out there, waiting to read it." Loved this line a lot. Sums up the writing life for us. I think this is true for almost anything. Music, film, etc... each creator is hoping and praying somebody out there will "love" their creation. Alex, I know (trying not to giggle). Connie, please tell my son that socks with sandals is illegal. I bet he'd believe it from you! Rachna, here's to meeting our soul mates. PK, that's absolutely what I'm hoping for myself and all my writer friends! Well, they certainly are imaginative. :-) A few of them could work with some effort. Fortunately, it takes all kinds to make the world and interesting place. 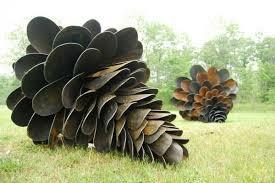 Giant pinecones...wouldn't that be a sight. Add demon-possessed squirrels and I think you might have a winner with that last one. Well, I see this played out on Matt McNish's query critiques, where occasionally I will read a query for a book with a premise that makes me shake my head and leave without commenting. But if I come back and look later, I'll find others who said the premise was AMAZING! What one person finds ... uh, far-fetched ... is another person's perfect read! You're very philosophical today :) Love those giant pine cones! Sounds like one of my stories. You could write one of those under a pen name just for fun! YAy! Sweetness and Love! They really do exist. Yummy post. I'm going to go do something nice for someone now. I can definitely relate to this post. There are books I've read that I'm "just not that into" because I don't have anything in common with the characters in the books. But then there are other books that make me feel like the author knows me, because it's like he/she is describing what I've felt. But I wouldn't be surprised to see those plots in books, either.